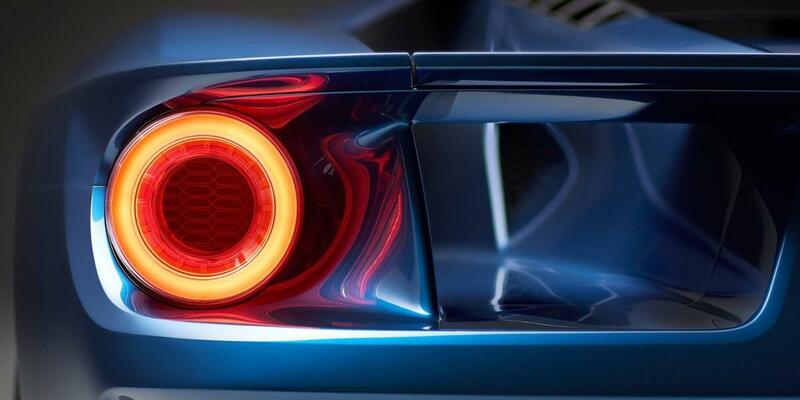 With production already commenced in late 2016, the Ford GT will be introduced to select global markets, celebrating the 50th anniversary of the legendary original Ford GT race cars which famously placed first, second and third at the 1966 24 Hours of Le Mans. 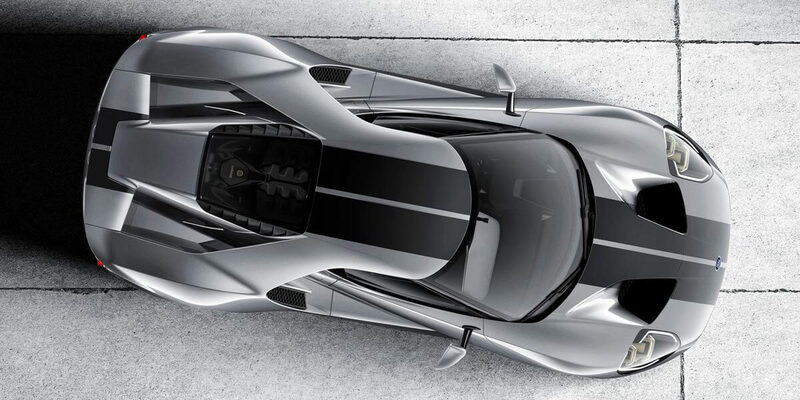 The all-new ultra-high-performance supercar GT serves as a technology showcase for top EcoBoost® performance, aerodynamics and lightweight carbon fibre construction. In the US it joins an already impressive Ford Performance line-up including the Focus RS, F-150 Raptor, Shelby GT350 and Shelby GT350R. 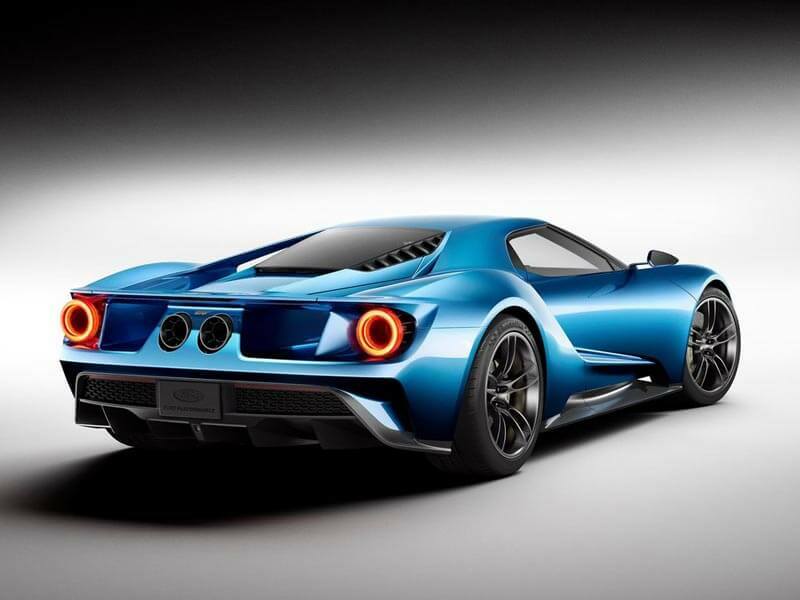 The GT is also one of more than 12 new Ford Performance vehicles coming by 2020. 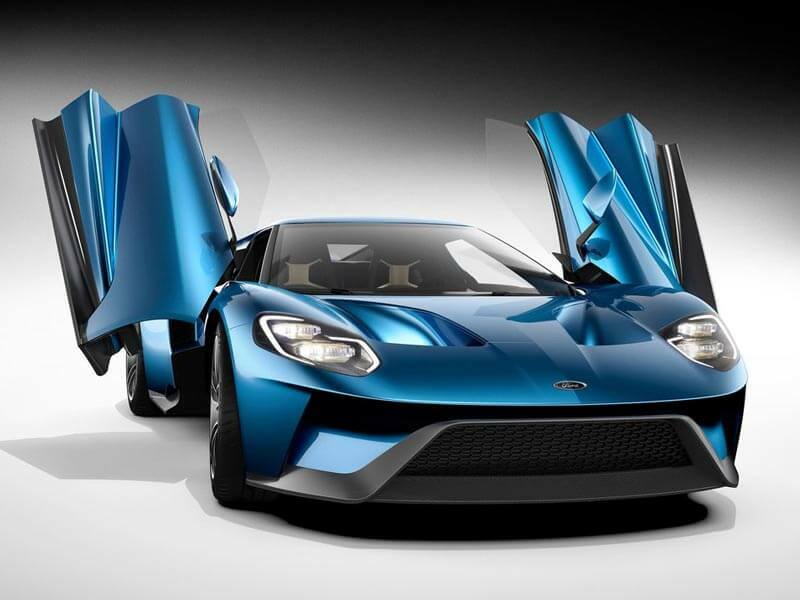 The all-new GT supercar features rear-wheel drive, a mid-mounted engine, and a sleek, aerodynamic, two-door coupe body shell. 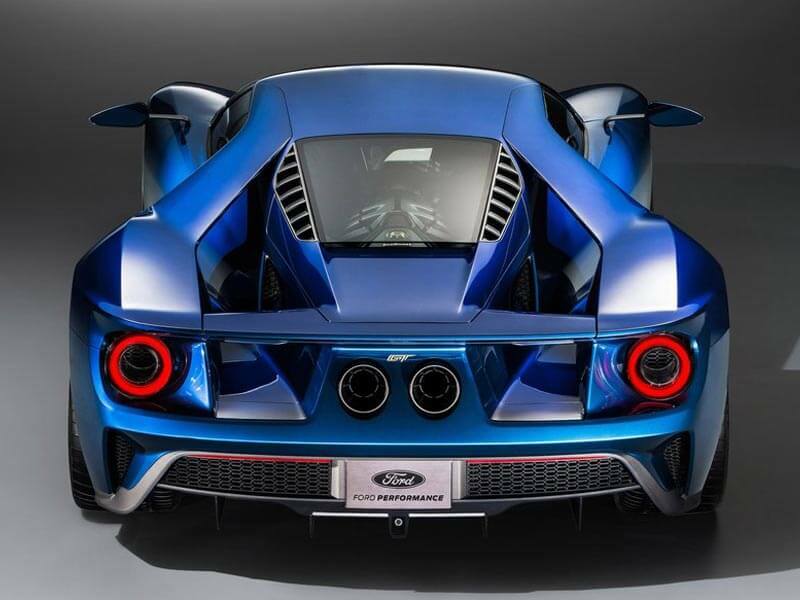 It’s powered by the most powerful EcoBoost production engine ever – a next-generation twin-turbocharged EcoBoost V6 producing more than 600 horsepower. Few innovations provide a more wide-ranging performance and efficiency advantage than reducing weight. All factors of a vehicle’s capabilities – acceleration, handling, braking, safety, efficiency – can improve through the use of advanced, lighter materials. 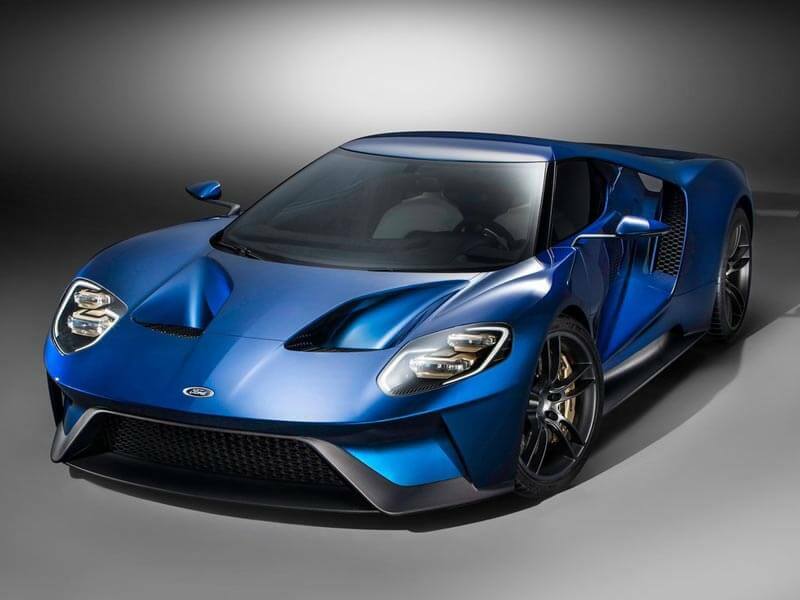 The all-new Ford GT features advanced lightweight composites, which will help serve Ford’s entire product lineup moving forward. 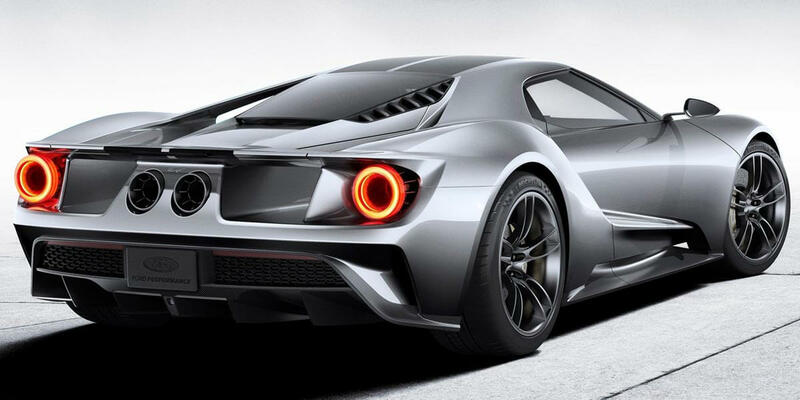 With the broad application of structural carbon fibre elements, the GT will exhibit one of the best power-to-weight ratios of any production car. Anchored by a carbon fibre passenger cell, the GT features aluminium front and rear subframes encapsulated in structural carbon fibre body panels. Carbon fibre is one of the world’s strongest materials for its mass – enabling an ultra-stiff foundation for chassis components while creating a lighter overall package for increased dynamic performance and efficiency. 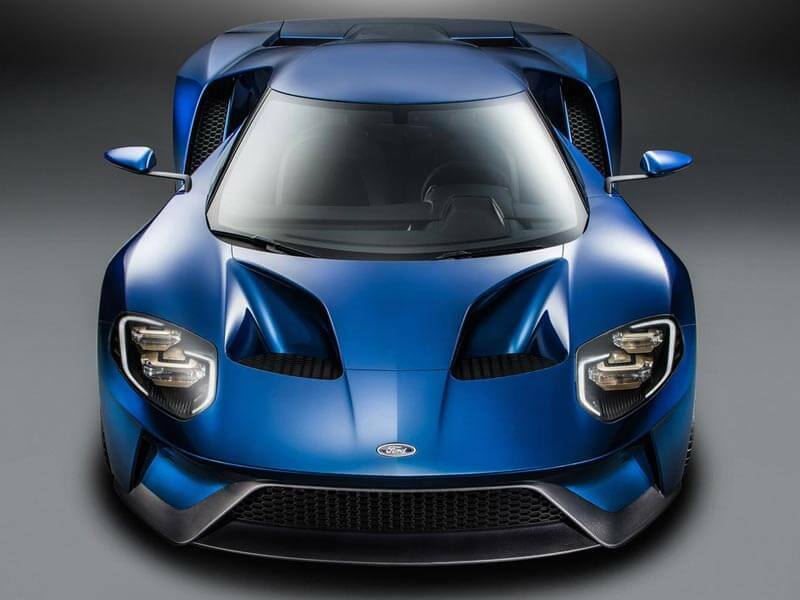 The Ford GT features an all-new, port/direct dual fuel-injection setup to improve engine response, plus a low-friction roller-finger-follower valvetrain. 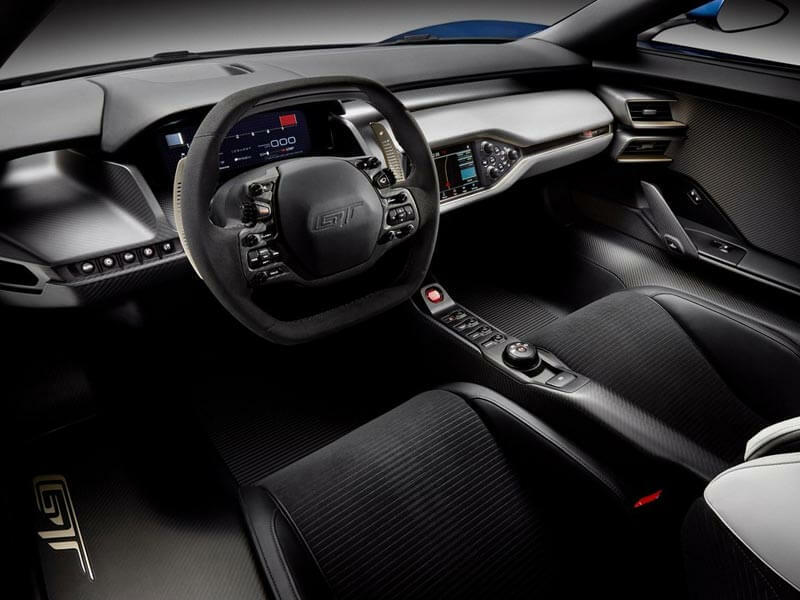 The twin-turbocharged EcoBoost V6 will be paired with a seven-speed dual-clutch transmission and transaxle arrangement for near-instantaneous gear changes and exceptional driver control. From its optimum tear-drop shape to its aircraft-inspired fuselage and visibility-enhancing curved windshield, every slope and shape are designed to minimise drag and optimise downforce. While it shares a legacy with classic Ford racing and performance cars, the GT is a fully contemporary and functional shape that communicates modernity and pure beauty. The state-of-the-art chassis is suspended by an active racing-style torsion bar and pushrod suspension, with adjustable ride height. The 20-inch wheels are shod with Michelin Pilot Super Sport Cup 2 tires featuring a unique compound and structure designed specifically for the Ford GT. Multi-spoke wheels encircle carbon-ceramic brake discs at all four corners. The narrow-profile canopy reduces frontal area and caps a purposeful interior that provides state-of-the-art technology to ensure control, comfort and safety. The two-seat cockpit is accessed by upward-swinging doors and features driver and passenger seats integrated directly into the carbon fibre passenger cell. This configuration significantly reduces seating hardware and weight and provides a consistent and direct sensory connection to the chassis. The fixed seating is combined with adjustable pedals and steering column to accommodate a very wide range of driver statures. An F1-style steering wheel integrates all necessary driver controls, creating a stalkless steering column that allows uncluttered access to the transmission paddle-shift controls. A fully digital and configurable instrument cluster provides a wealth of driver-focused data and is also configurable for multiple driving environments and different driving modes.